Leon is a typical village in the Landes. You get this feeling of a change of scenery while strolling down the streets of Leon. 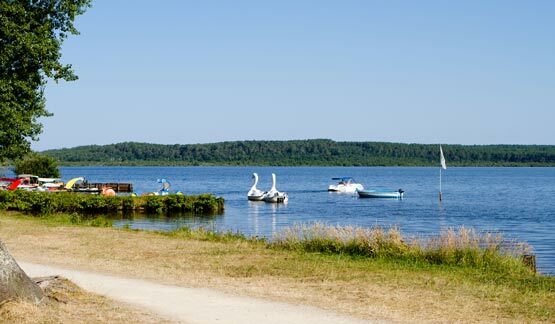 Located 3km from the campsite, the Lake of Leon on the Vielle side, is a freshwater lake monitored by master lifeguards in the summer. It’s a great place for kids, but also for paddleboating, catamarans, windsurfing… Hooray for swimming! The daily market in Leon is one of the most lively and an essential place to find local merchants.